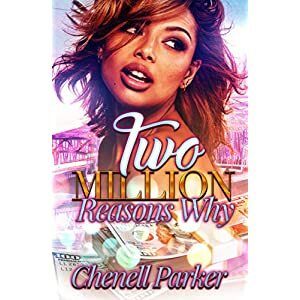 After being hit with a revelation about the identity of Montez’s soon to be ex-wife, Cashmere has more questions than answers. Destiny is a woman scorned and she refuses to let her husband go without a fight. Bria, her best friend and sister-in law, has a few issues of her own. That doesn’t stop her from giving Destiny advice, even though she needs a little guidance herself. She and her husband Ramone are not as perfect as she wants her friends and family to believe. Montez loves Cashmere more than she knows, but her past behaviors are hindering their relationship from growing like it should. He’s getting fed up with her childish behavior and he’s starting to wonder if being with her is even worth it. Everyone are not who they claim to be as secrets are revealed and identities too. Will Cashmere change her ways to keep the man who holds her heart or will she continue to let her past define who she is? Will Destiny finally move on or is she willing to fight to the end for a man who she feels is legally hers. Find out the answer to these questions and more in this final installment of Never Knew Love Like This.